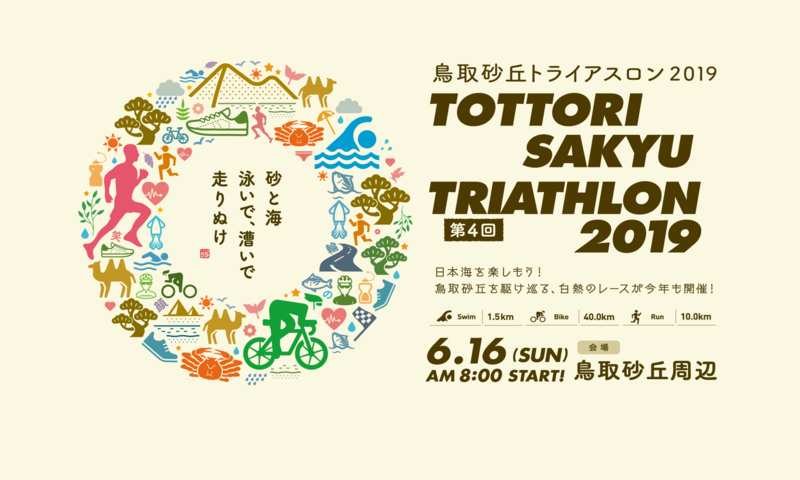 Extended Entry period for the Tottori Dune Triathlon competition! It was officially the National athletic qualifying! As a result, the application period was extended to May 20. Triathlon Race to experience the majestic Tottori dune swimming in the blue Sea of the azure. Let's support the long journey from start to finish with a warm heart and smile, and to liven up the tournament together. Entry of the Tottori Dune Triathlon contest begins. The application period is from 16 February to 20 April (first served basis). Course information is currently being created.Please wait a little longer. The 4th Tottori Sand Dune Triathlon will be held on Sunday, June 16, 2019. Last year, it was canceled because of a direct hit of the typhoon and was full of regret. This year has changed the month of June held to minimize the effects of the weather. I would like to make the race twice as fun as last year. We are looking forward to your participation in the perfect situation. * Since the answer to the inquiry will be e-mail or telephone, please specify the phone number (number that can be contacted both during the day and night) and the name that can be returned.